Improve the condition of your skin with the Jack Black Turbo Body Bar. A wonderful multi-tasker, it provides both a deep cleansing and exfoliating action, which leaves your skin feeling supple and smooth. Enriched with natural ingredients, including murumuru and shea butters to hydrate and lava rock to polish your skin, it helps to remove dirt and dead skin cells which can lead to skin becoming dull over time. The energising scent of eucalyptus, ginkgo biloba and blue lotus helps to reduce tiredness, leaving your senses awakened. I am not that much into a bar of soap, but this is quite good! Great smell - and it leaves my skin gently exfoliated. I only use this once a week. The rest of the week, I use the turbo wash.
Let's start with the positives - it smells great and gives my bathroom a nice aroma. It also cleans well and is high quality. However, the bar is quite small for the price and doesn't seem to last long, I'll be lucky if it lasts one month. Granted I am not used to buying bar soap but to me it seems as if in terms of value, it is not the best. This is my second bar of this particular soap and I can see me ordering many more. It smells amazing and is great for using after the gym. All in all this product is top quality and a bar lasts for ages! This is not your average bar of soap. First off, it's huge (more than double the size of a bar of Dove soap) and secondly it contains small fragments in to gently exfoliate the skin. The smell is clean and fresh - the same as the other Jack Black "Turbo" products. Produces a thick lather with ease and is a great "all over" solution for the bath or shower. Until I used this I used Molton Brown Black Pepper bar and loved it, this is better. Lathers faster and lasts longer. Smells exactly the same as the turbo wash gel. A must have. This is a truly great product. As soon as you rub your hands on it you can feel the quality and its exfoliating texture. It generates a very thick lather with very little effort and smells fantastic. After using your skin feels smooth, clean and refreshed. A great pleasure to use & practical too. It lasts a long time too unlike many other soaps that whither and disintegrate quickly. 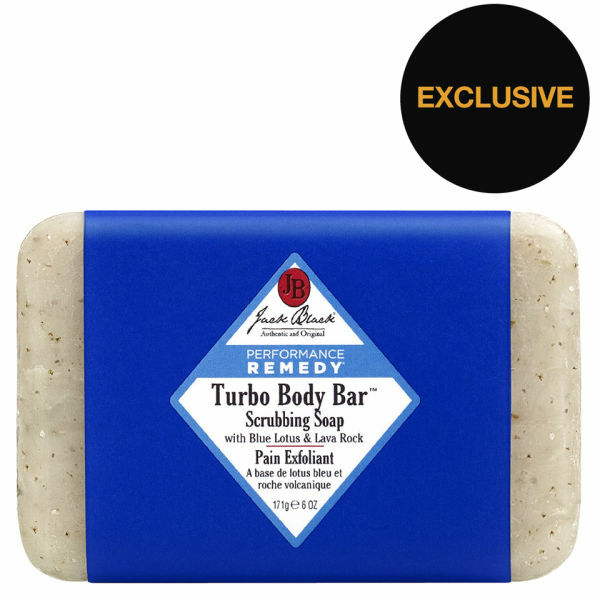 Jack Black Turbo Body Bar leaves the skin refreshed and clean. Highly recommend. 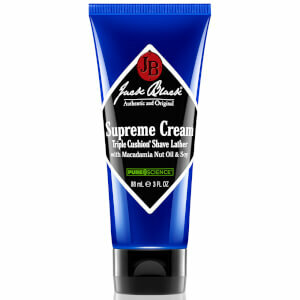 I used this at the weekend, great scent and wash. Recommended.